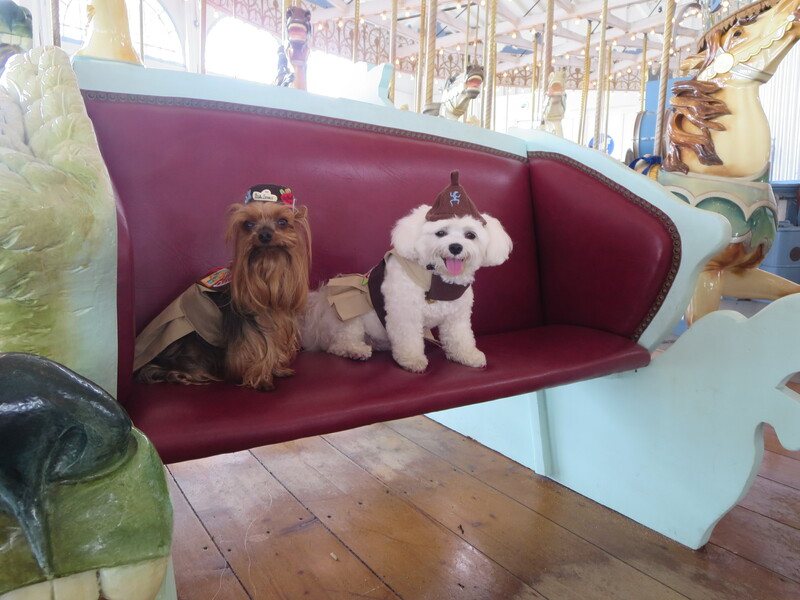 Bella Mia and her friend Pebble Iscious earning their Amusement Park Badge at the Lighthouse Point Carousel in New Haven, Connecticut. 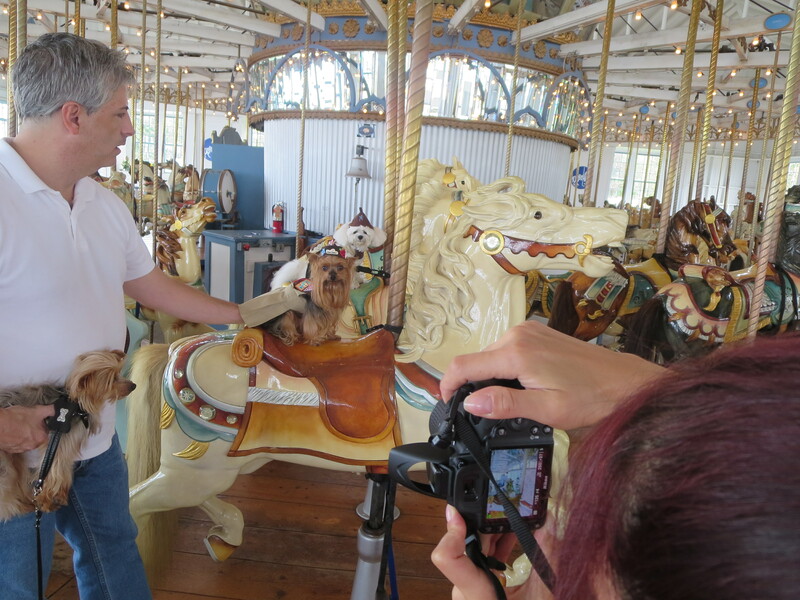 The Carousel was assembled in 1916 by the Murphy Brothers in their Savin Rock workshop. Although there were more than 10,000 such carousels in operation in the 1920’s, the Lighthouse Carousel is one of less than 100 in use today.